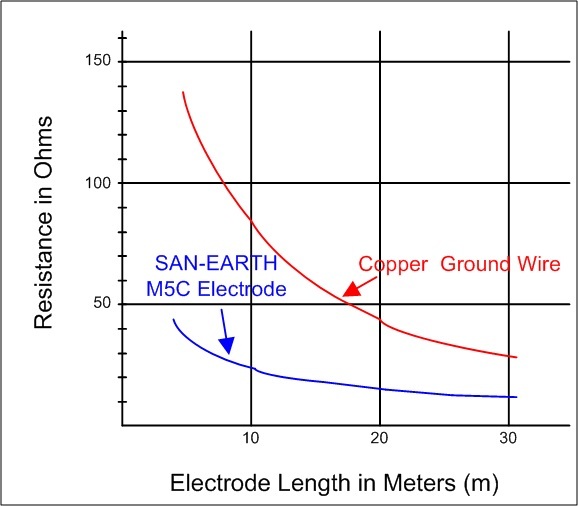 SAN-EARTH electrode resistance is 60-70% lower than bare copper counterpoise wire. Resistance of the five meter SAN- EARTH electrode is the same as the twenty-meter long bare copper wire. Ideal contact with the surrounding soil is achieved because SAN-EARTH conforms to the shape of the trench. The effective surface area of the SAN-EARTH grounding electrode is about 25 times larger than the counterpoise wire.